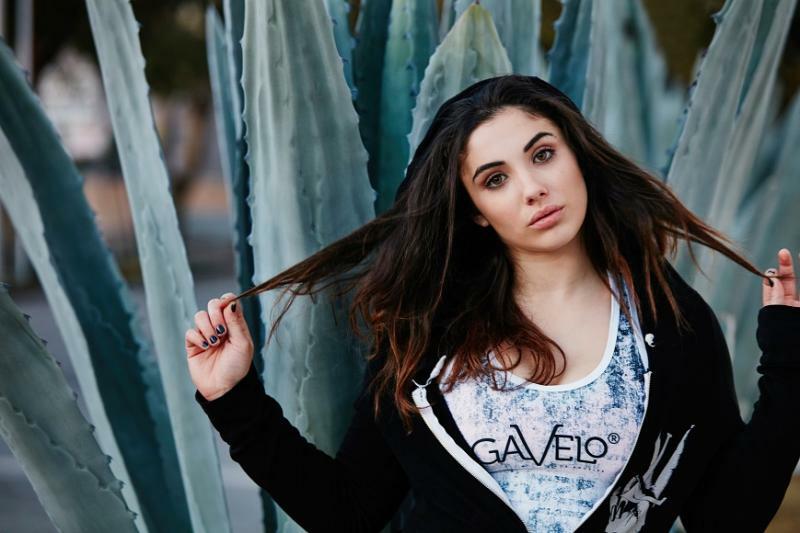 A design truly inspired by the tropical concrete jungle that is Los Angeles. A base of what could be either concrete cracks or a tattered newspaper. 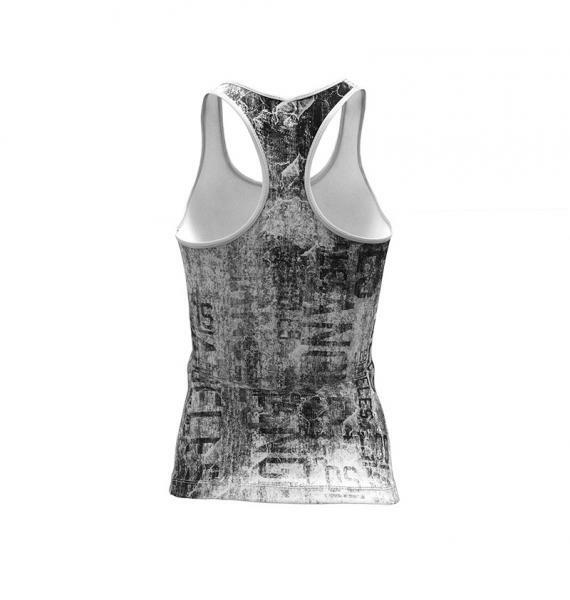 You will find the name of the model (Los Angeles) on several places in the pattern, which goes in the colors of black, grey and white.The racerback design allows full range of motion. 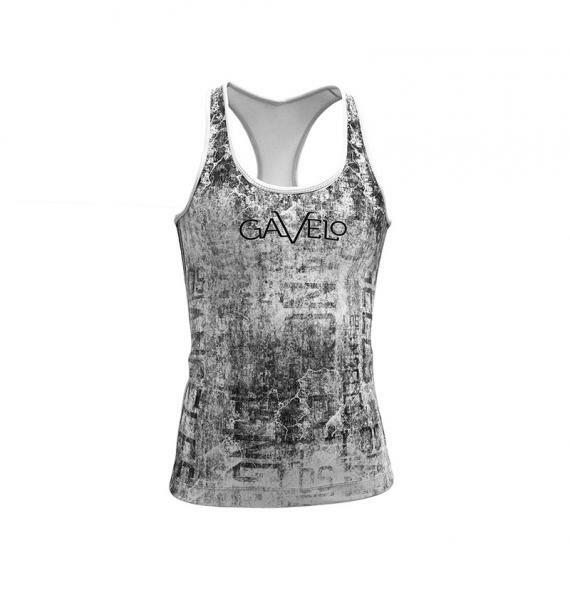 The Gavelo logo in black on the chest and between shoulder blades. White stitching details. 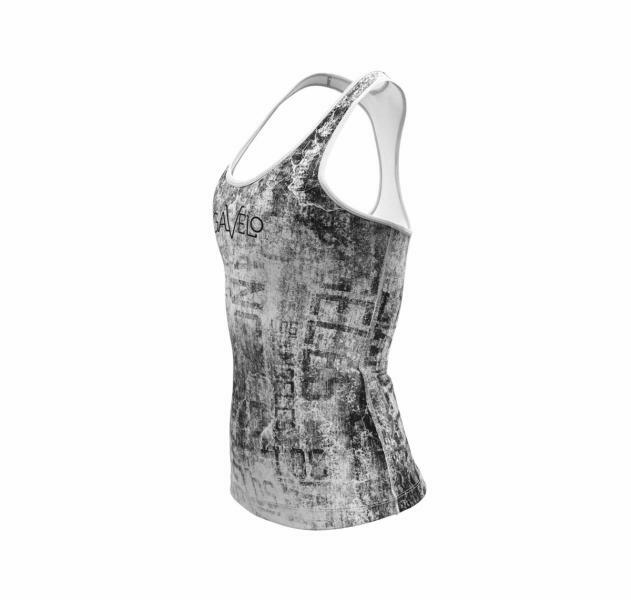 Why not be extra neat- and wear it together with the Los Angeles tights!